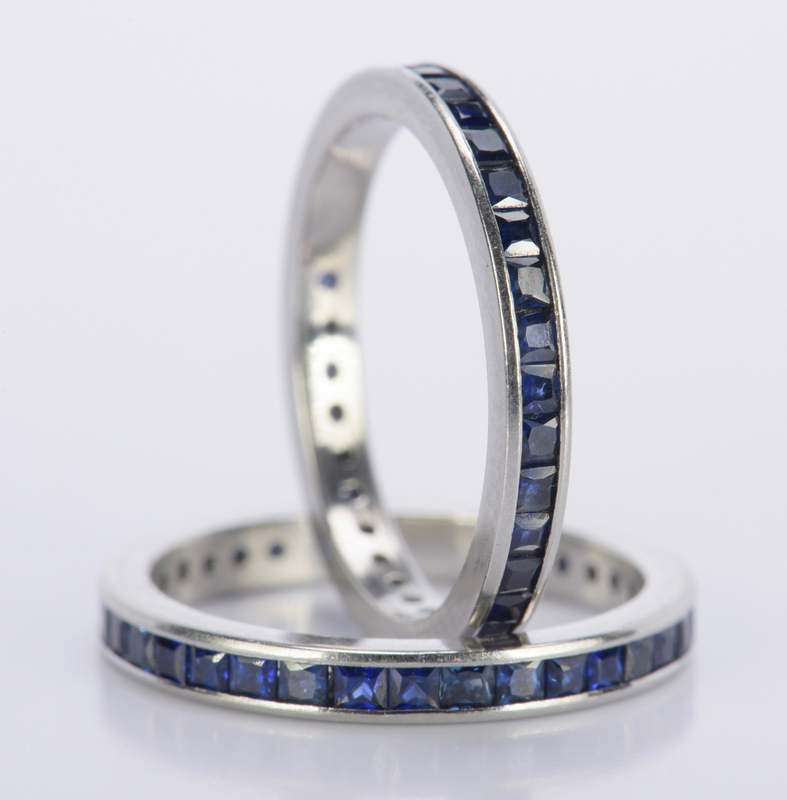 Pair sapphire and platinum eternity rings, each containing thirty-five (35) square brilliant cut natural blue corundum sapphires, each 1.60 mm square, approximate sapphire total weight 1.25 ct., average color medium strong very slightly grayish blue, average type II clarity VSI. Sapphires are flush channel set. 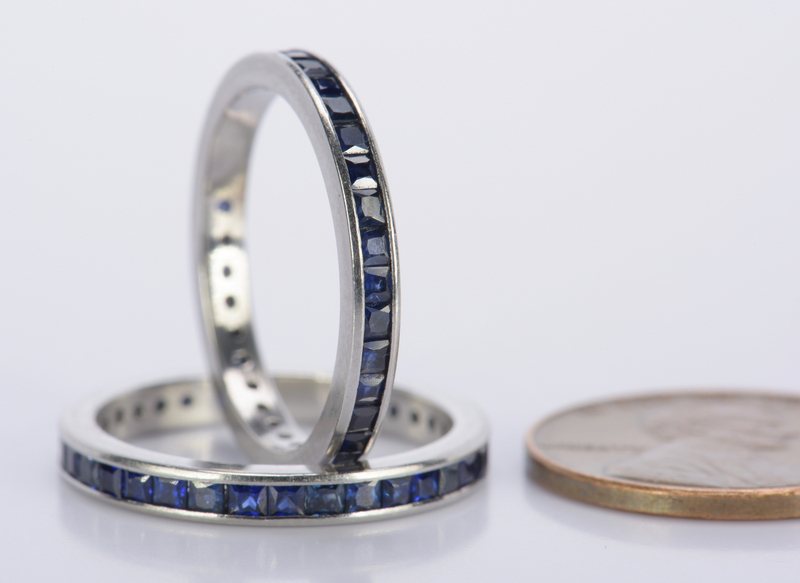 Mounting width: 2.7 mm. 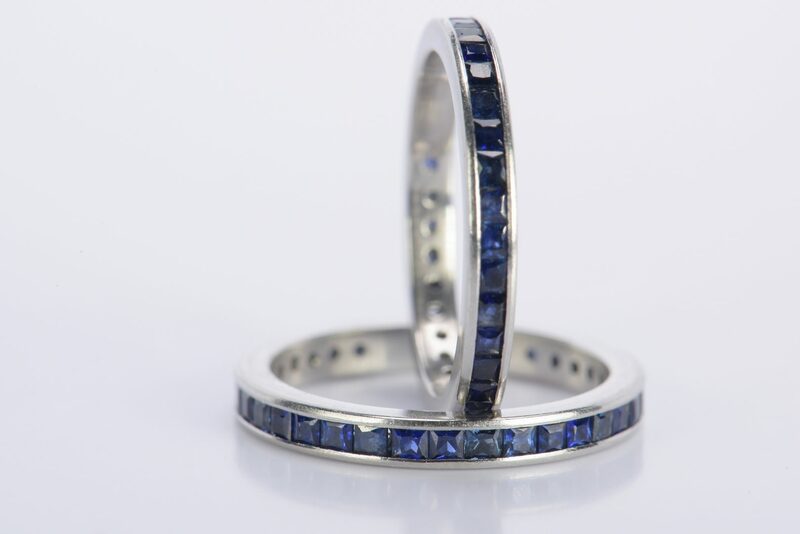 Ring size: 6 each. 6.2 grams for both rings. Estate of Jane McKinnon, Lenoir City, TN. CONDITION: Overall good condition.